India’s economy is shrugging off global trade wars, relying on domestic consumption to stay on course to becoming the fastest-growing major economy this year. Demand for bank loans remained solid going into the July quarter despite rising interest rates, and so was the case with services and manufactured goods, a cross-section of forward-looking indicators compiled by Bloomberg News show ahead of government data on economic growth due Aug. 31. Foreign investments slowed, highlighting risks to India’s balance of payments position. 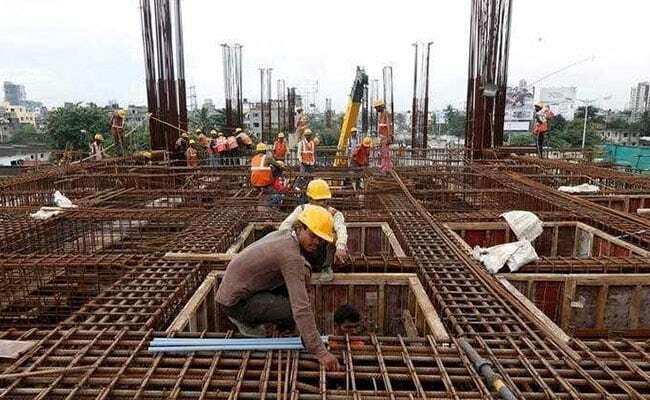 India’s main services index rose at the fastest pace in 21 months in July, the latest purchasing managers survey showed, while manufacturing continued to expand, but at a slower pace. These together pushed the composite index to its highest level since October 2016. The optimism stems from a rise in new orders, giving confidence to businesses to produce more. Exports grew by a relatively strong 14.3 percent in July from a year earlier, although slower than the 18 percent pace in the previous month. Economists and policy makers are optimistic that the recent weakness in the rupee will help support the recovery in sectors such as textiles. Data from the Society of Indian Automobile Manufacturers show that the industry produced more vehicles in July than a year ago, with the increase led by commercial vehicles and two-wheelers. Total sales were up 8 percent in the latest indicator, underpinning a view that domestic demand is holding up well. With more consumption comes more demand for loans. Bank credit rose 12.7 percent in August from a year ago, with most of the loans being made to the services sector. Commercial paper issuances are also on the rise. But those numbers aren’t telling the whole story. Bloomberg Economics’ Abhishek Gupta attributed the rise in bank credit over the past year largely due to favorable base effects. Rising borrowing costs have instead crimped corporate bond issuances, indicating that total credit flowing to the corporate sector is weak, he said. The Citi India Financial Conditions Index shows a tightening in markets amid back-to-back interest rate hikes by the Reserve Bank of India. The index incorporates among other indicators, short-term money market rates, government bond yields (short and long tenor), the yield curve, credit and credit default spreads. Foreign direct investments fell to their lowest since January, and that could weigh on India’s balance of payments. Already, the current account deficit is expected to widen due to higher oil prices and slowing inflows into the capital markets. With a general election due in early 2019, concerns about policy paralysis and whether Modi will manage to repeat his 2014 landslide-win may keep many investors on the sidelines. The risks notwithstanding, output of infrastructure industries — which contribute 40 percent to the industrial production index — lend hope. The 6.7 percent pace of expansion in June from a year earlier was the strongest in seven months.